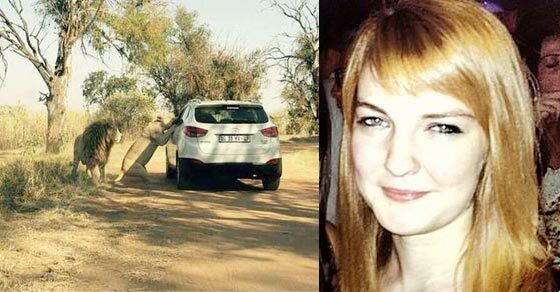 A 22 -Year Old American woman by the name of Katherine Chappell was dragged to her death and another person seriously injured after being pulled through their car window by a lion at Lion Park, near Johannesburg in South Africa. The young lady and the driver of the vehicle was warned to keep their windows up, however curiosity got the best of the tourists and they went against their better judgment and opened the window so that they could take better pictures. Unfortunate for Katherine, the photos were not worth her life. She was allegedly snatched out the vehicle and mauled to death and her friend was seriously injured. The lions may be put down per park officials. I am very saddened. It’s hard to stick to instructions sometimes but there are reasons why we should. This is a very sad lesson for all of us. May her soul rest in peace.